Un mini-album comprendente tutte le 6 b-side dei singoli tratti dall'album "Maladjusted". La copertina mostra Morrissey in una foto scattata in una immagine per la stampa di qualche tempo prima. This is a Japan-only mini-album compiling all 6 b-sides on the singles from the "Maladjusted" album. 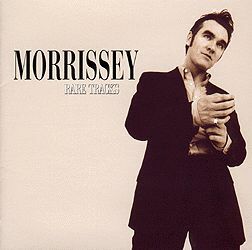 The artwork shows Morrissey in a photo taken from an earlier press photo.